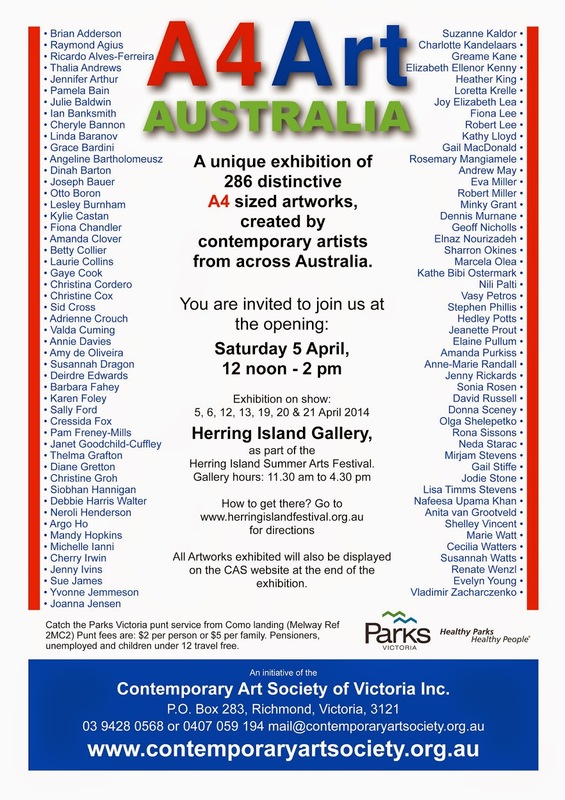 On Saturday 5th April we'll see the opening of A4 Art Australia an Australia wide collection of small format works in 2D and 3D. and you can work out how to get to Herring Island here. This exhibition is the last in the 2014 Summer Arts Festival. If you would like to join our email invitation list and be notified of future Festival events please sign up on our contact and subscribe page.